New Delhi [India] February 19 (ANI): The Bharatiya Janata Party (BJP) on Monday approached the Election Commission of India (ECI), to inform about Biju Janata Dal (BJD) using government authorities and large sums of money for their benefits to win by-election in Odisha's Bijepur. Bijepur (Odisha) [India], Feb 17 (ANI): Union Minister Dharmendra Pradhan on Friday kicked off his campaign for the Bijepur by-elections in Odisha. Balasore (Odisha)[India], January 31 (ANI): A woman threw eggs on Odisha Chief Minister Naveen Patnaik during an event in Odisha's Balasore. New Delhi [India], January 30 (ANI): A Bharatiya Janata Party (BJP) delegation led by Union Minister Dharmendra Pradhan on Tuesday met Chief Election Commissioner Om Prakash Rawat here requesting a fair by-election in Odisha's Bijepur. Bijepur (Odisha) [India], Jan 30 (ANI): The Bharatiya Janata Party on Monday announced Ashok Panigrahi as its party candidate for the Bijepur bypoll election. Puri (Odisha) [India], Jan 27 (ANI): Suspended Biju Janata Dal (BJD) MP Bijayant Panda on Saturday said the allegations against him are "utterly false". Bhubaneshwar (Odisha) [India], Jan 27 (ANI): The Biju Janata Dal (BJD) on Saturday demanded the resignation of suspended Lok Sabha MP Baijayant Panda. New Delhi [India] January 24 (ANI): Biju Janata Dal President and Odisha Chief Minister Naveen Patnaik suspended Lok Sabha MP Baijayant "Jay" Panda from the primary membership of the party with immediate effect on Wednesday on grounds of 'anti-party activities '. New Delhi [India], Dec. 28 (ANI): After much debate and discussion, the Triple Talaq bill has been passed in the Lok Sabha. New Delhi [India], Dec 20 (ANI): The Biju Janata Dal (BJD) leaders on Wednesday staged a protest in front of the statue of Mahatma Gandhi outside the Parliament, demanding the formation of a tribunal to resolve the Mahanadi river water dispute between Odisha and Chhattisgarh. 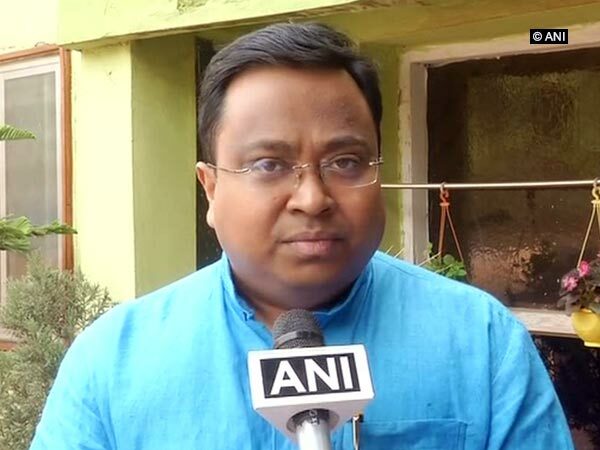 Bhubaneshwar (Odisha) [India], Sep 19 (ANI): The Central Bureau of Investigation (CBI) court on Tuesday sent Biju Janata Dal (BJD) MLA Pravat Ranjan Biswal to five day judicial custody.